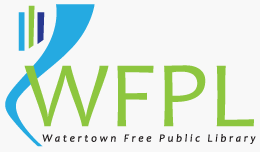 The Watertown Free Public Library in Watertown, Massachusetts (population 32,000) is launching an Early Literacy iPad program for kids aged 3-5. They have 15 devices, which will allow 15 families to participate in this registered program. I’m contacting the library for details on how the program was developed and funded. There’s an article about the program in Wicked Local Watertown, and there’s a single somewhat amusing comment at the bottom of the article. Maybe that’ll spark a discussion about content, or possibly entice Google to fund one of my digital storytelling initiatives….. BA HA HAAAAAAA!!! I’m so funny. Posted on September 28, 2012, in iPad. Bookmark the permalink. 1 Comment.